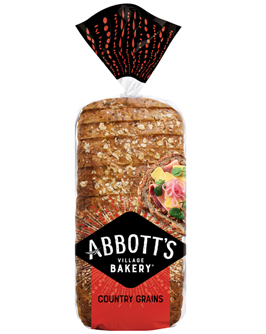 Take 2 slices of Abbott’s Country Grain bread and spread the base slice with American mustard and the top slice with horseradish mayo. On the base slice of bread layer pastrami and then top with sauerkraut. Top with dill pickles and cheese. Top with second slice of bread and serve – this can be lightly toasted on the outside in Winter for added comfort.